Professor Arnauld VILLERS obtained his medical degree from Paris-Ouest Faculty of Medicine (Paris V University) and is a former resident of the Hospitals of Paris. In the late 1980s, after spending 18 months at Stanford University in the United States, he received his master’s degree and continued his research, initially at the Bichat Hospital in Paris, where he was appointed Assistant Senior Registrar of the Hospitals of Paris, then at the Toulouse University Hospital. In 2000, he joined the University of Lille 2 and Lille University Hospital where he continued his research. He became qualified as Professor of Urology in 2002 and was appointed Head of the Department of Urology at Lille University Hospital in 2010. His areas of expertise, research and publications are oncology, particularly prostate cancer. Regarding care, his activities are focused on general urology and oncology, especially diseases of the bladder and prostate, as well as robot-assisted and reconstructive surgery. Prof. Villers also teaches graduate medical programmes at Lille University School of Medicine. 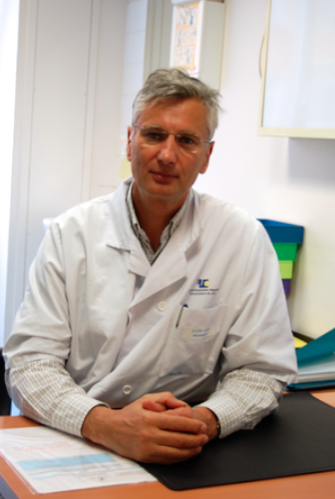 He is the coordinator of the complementary specialised degree in urology (Diplôme d'étude spécialisé complémentaire, DESC), which enrols five residents each year in Lille. He currently collaborates with Prof. Lemaître and Prof. Puech from the Department of Radiology at the University Hospital. In Serge Mordon’s research unit (INSERM U 703), he oversees the master’s degree in prostate cancer, more precisely, the diagnosis of PSA, diagnosis by biopsy and MRI imaging, as well as partial treatments.